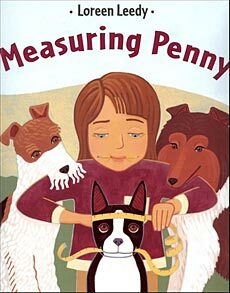 The author of Mission Addition and It's Probably Penny is back with another winning title -- Measuring Penny! 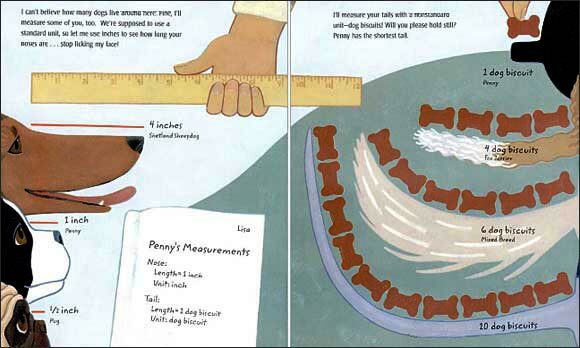 For her homework, Lisa must measure something as many ways as she can, so she decides to measure her dog, Penny. Once she starts the assignment, she catches the spirit and seemingly can't stop measuring everything she sees! She measures height, width, length, weight, volume, temperature, and time. 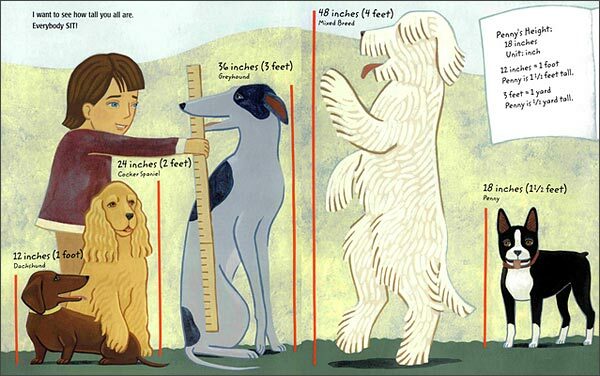 And the engaging storyline and easy to understand visual comparisons make this book a great resource for measurement lesson plans. In fact, Booklist called it "The book is perfect for classroom use." Here are some sample pages from inside the book, included here to give you an idea of the illustration style and the amount of text on the pages. Leedy covers a lot of ground so this book it's probably too much to digest in one single dose. Perhaps spread it over several different lessons. And given that it's packed with small details, be sure to put it in your class library for kids to explore on their own. 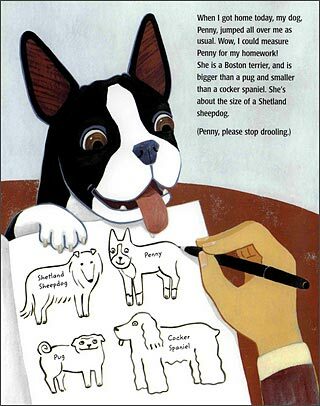 One of the pages clearly spells out Penny's homework assignment upon which the storyline of this book is based (see illustration below). 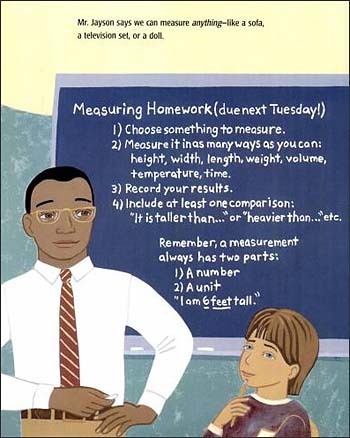 We think it'd be fun to read this book to your class first, then have them do the same measuring homework assignment. After having seen Penny's fun and funny experiences while doing her homework assignment, your students will be excited to try it out for themselves! Reading this book to your class and then having the students do the same activity works well as an entire measuring lesson. -Then having the students complete the same assignment is the 'You Do" (aka By) portion. 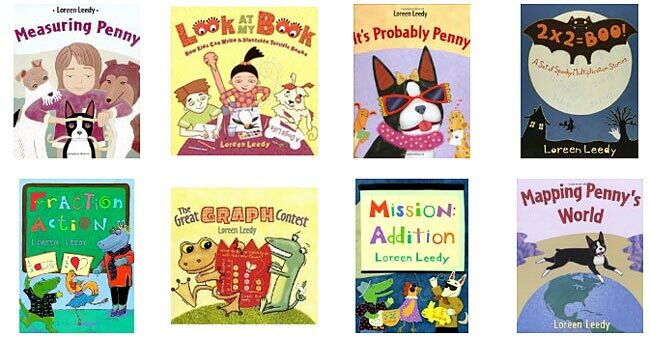 You may also want to check out other books by Loreen Leedy. 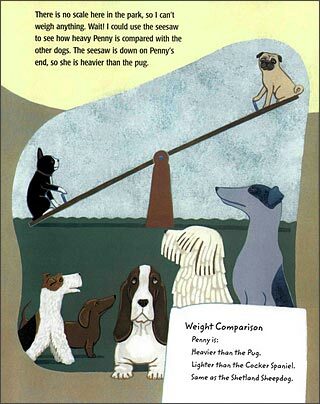 Her books are consistently helpful when teaching a number of different math topics. Perhaps she was an elementary school teacher prior to becoming an author. :) To learn more about her books, click on the sample book covers below or author's name above.